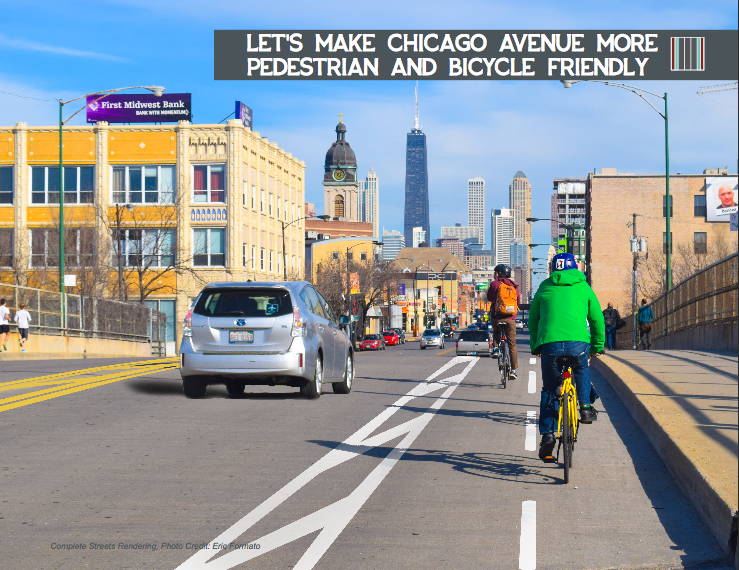 Chicago Avenue would be trimmed to three motor-vehicle lanes in a "road diet" proposed by the West Town Chamber of Commerce. 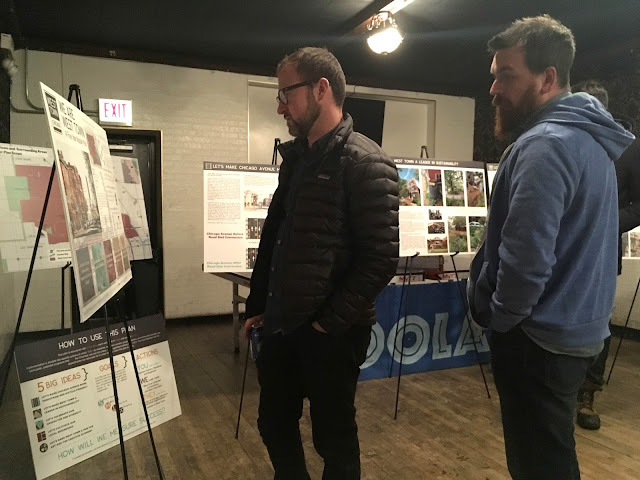 Program manager Kace Wakem told East Village Association members Feb. 5 that the Chicago Department of Transportation and Chicago Transit Authority are studying the proposal, part of the West Town Master Plan produced in 2017. CDOT has identified Chicago Avenue east of Paulina Street as a "high-crash corridor" in its Vision Zero safety plan, while the CTA is tracking performance of the #66 bus route. The plan would reduce the two center lanes to a single left-turn lane. Bike lanes would be added in either direction. Chicago Avenue was identified in the city's 2012 plan to create crosstown bike routes. Grants for tree planting, considered in meeting a sustainability goal, would require volunteers to plant and care for trees. Other master plan objectives are preservation and business and arts development. The West Town Master Plan proposes more bike lanes. Illinois House 4th District candidate Delia Ramirez opened the meeting by presenting her background with the Community Renewal Society, Common Cause Illinois and Humboldt Park area social service agencies. Her legislative priorities include education, income and property tax reform, and marijuana legalization. 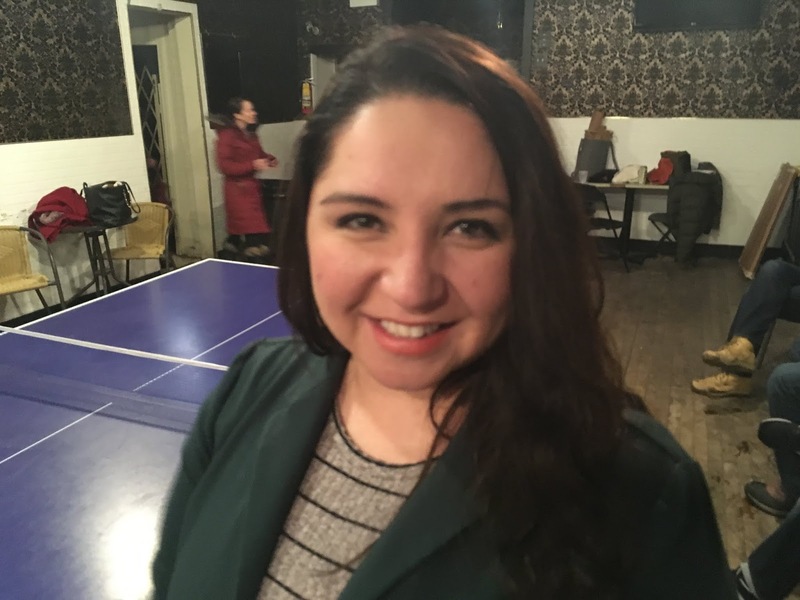 She wants to create a progressive caucus and "activate" the Latino caucus in the legislature, create a small-business council and maintain open hours at district offices. Candidate forums in the March 22 Illinois primary are scheduled for Feb. 21 at Rowe Middle School, 1420 W. Augusta Blvd. (leave your questions in the comments) and March 12 at Roots Handmade Pizza, 1924 W. Chicago Ave. Permits have been approved for renovation of the former Pure Dairy site, 1936-44 W. Augusta Blvd. A prospective buyer of the Happy Village tavern at 1059 N. Wolcott may present plans to EVA members as soon as March 5. Restaurant plans are being revised for a auto-repair site at 820 N. Damen Ave.
Tuesday after-work events resume June 6 at the Polish Triangle, at Ashland, Division and Milwaukee. The Polish Triangle Coalition hopes to trim food-service licensing requirements, secure arts grants and influence improvement plans for the Division Blue Line entrance. Commuter traffic on Chicago Avenue is already bad enough, reducing the motor vehicles to two lanes would further create huge traffic delays. THe wait time to get throug a traffic light at Chicago, Milwaukee and Odgen is already sometimes 15-20 vehicles deep with approximately 1-2 cars being about to make a turn after the lights turn yellow. Add traffic arrows at these busy intersections especially since access to the 90/94 expressway ramp is just past this intersection on Ogden. Vehicles are often 20-25 cars back on Milwaukee turning onto Ogden to gain expressway access.